Gday Simon here from northern NSW. Id been looking for a good XB GT for almost six months. I was looking for a vehicle that I didn’t have to spend considerable time and money on to bring up to better than average original condition. After looking at every advertising medium available I stumbled across Chester from Muscle Car Stables. What initially impressed me about Chesters approach was his honesty when describing the vehicle. 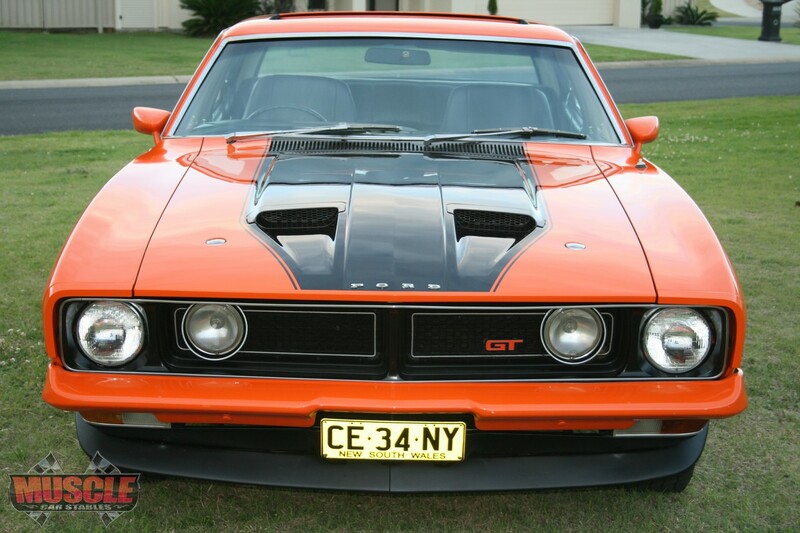 With the GT being located in Sydney and myself eight hours away I didn’t have the time and money to chase rust heaps around the country, one five hour return trip left me very disappointed. Chester understood the time and money scenario having been there himself and described the vehicle very accurately and importantly the faults the vehicle had, no one likes their time being wasted. Right through the whole experience from collecting us from the airport to guiding us out of Sydney the guy couldn’t do enough for us and in a genuine way that business used to be done. I had confidence in this mans knowledge, never felt pushed in any way and even now feel that I could ring him for advise about any future plans that I may have for My Muscle Car. You might say that I was very impressed . In 2007 my wife and I decided to buy our dream car. 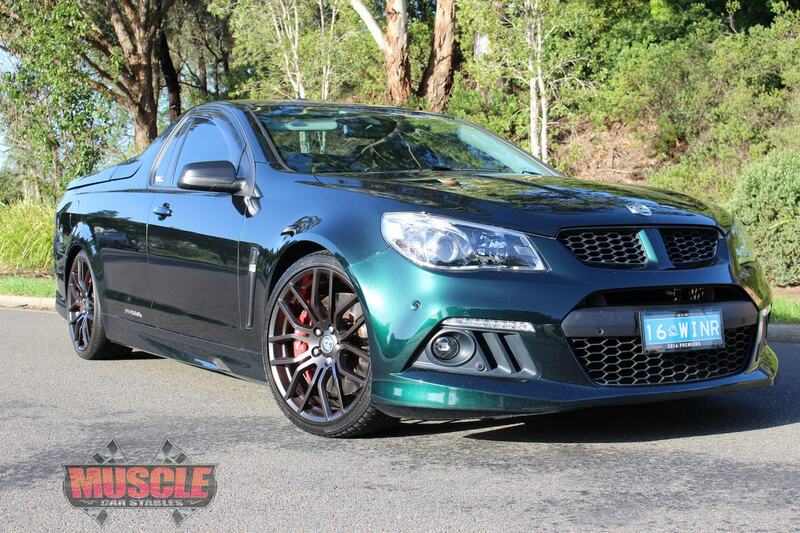 A VL SS Group A SV or more commonly known as the Walkinshaw. experience seamless. He was outstanding. We have remained good friends ever since. No slick sales gimmicks, no pressure, no attempts at manipulative ploys. has also assisted some of our family and friends find their dream car too. We highly recommend Muscle Car Stables. 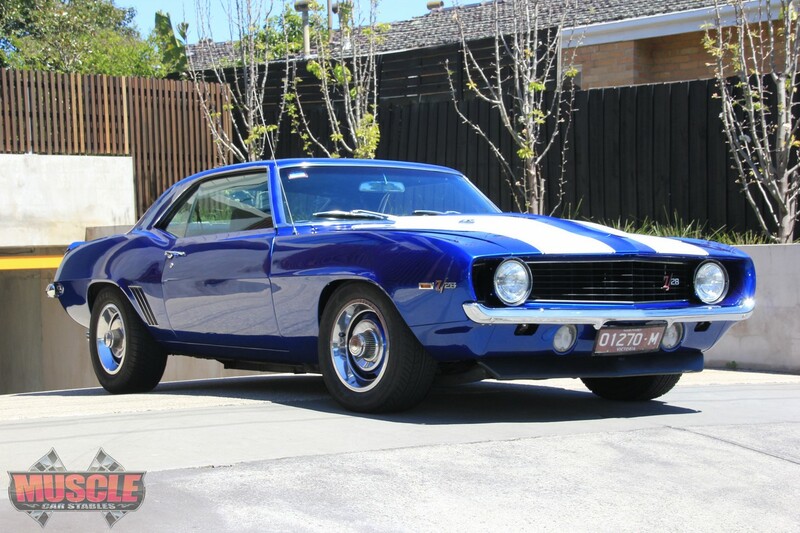 I had engaged Muscle Car Stables to sell my 1969 Camaro, after hearing through a friend about their services.Chester was in constant communication about advertising strategy updates and potential buyers, and was available out-of-hours and on weekends to discuss any queries I had. Given this was the first time I’d sold a car such as this, Chester had given me the level of comfort I needed through this whole process. Their photography was excellent, and advertising was to a very professional standard. I didn’t need to worry about suspicious buyers, security of the car, or dealing with funds directly; Chester and his team were completely transparent to the level I required which helped me sell my car to a reputable and genuine buyer. Given the amount of horror stories I’ve heard from colleagues and friends when selling these types of cars themselves, I would strongly recommend Muscle Car Stables to anyone wanting to sell a highly sought-after vehicle. The level of service they offer towards advertising, negotiation, communication and overall logistics compared to their commission is excellent, and definitely worth their involvement. I would like to thank Chester from Muscle Car Stables,first for finding the car I was looking for and second for making the purchase easy. He not only described the car accurately but also sent me a lot more photos of it. He personally picked me up and took me to the gentleman ‘s house who was great. I found him very professional at his job. Thanks for a great experience Chester hope to do business again cheers. I would recommend muscle car stables to sell any unique muscle car. 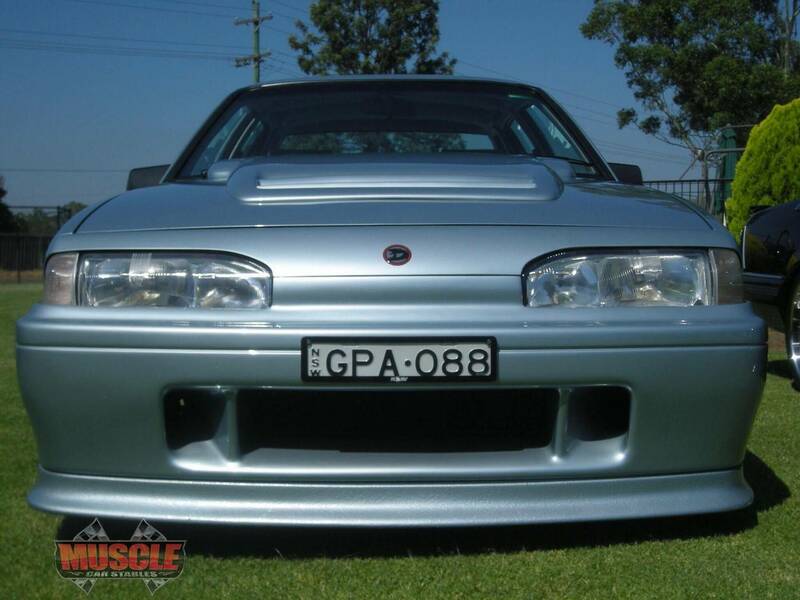 I contacted Chester to put my rare unique Hsv maloo on his site. It took just under a month for them to find the right buyer and negotiate the deal. 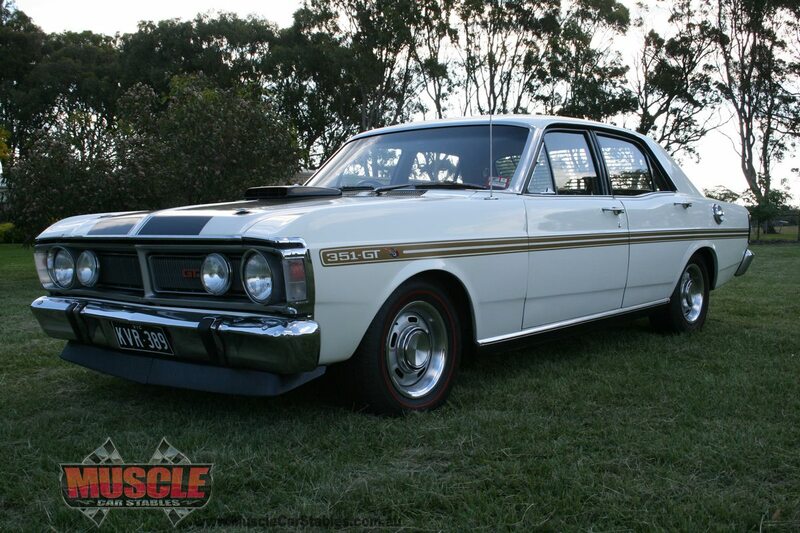 Very happy with the no fuss dealings with selling my pride and joy through muscle car stables. 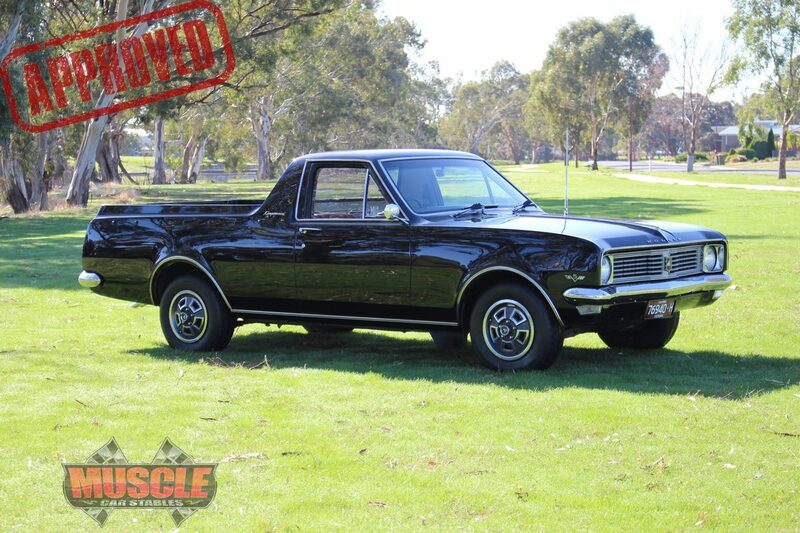 I had a rare 2 owner HT Kingswood 307 ute in factory black with Morroccan red trim. Having had dealings on the internet selling bits and pieces and attracting many undesirables and dreamers full of crap I wished to move the ute on with as little fuss as possible. I did some research and ultimately engaged the services of Chester at Muscle Car Stables. From start to finish the whole transaction went smoothly, the ute was sold within a week and funds in my bank immediately on sale. Chester thoroughly inspected , test drove and took quality photos of the car and uploaded to his website within one week of my initial enquiry. What impressed me the most was that with Muscle Car Stables requiring a deposit up front before inspection of the vehicle, the prospective buyers are genuinely qualified and not time wasters. I was able to be in contact with Chester at any time from first contact through to handing the keys of my pride and joy over to a very satisfied new owner. The commission charged was not expensive, and through my past experience engaging Chester’s services saved me a great deal of time and frustration. May I say that if in the future I have another special vehicle to sell, Chester will be my first point of call. !!! !